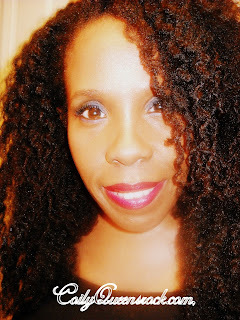 Protective styling: Covering your natural hair with fake hair for an extended period of time or wearing your natural hair in a style in which your ends are not loose. For the most part this is what the term "protective styling" means to those who commonly use it. They feel their Afro texture hair will not retain length unless it is covered with fake hair or tucked away. A large number of women with type 4 hair strongly feel they cannot retain length without protective styling in this way. Having 4C hair I find that to not be the case. I have grown my hair using extensions and not using extensions. I retained healthier growth without using fake hair. Having achieved long length both ways, I have come to view the term "protective styling" differently. So what are black women protecting their hair from? Some will say from the elements, the sun, the atmosphere. But our hair is made to withstand the sun, unless you are one who spends hours in the sun. Most of us work inside. The air hot or cold will not damage properly groomed hair. Our hair keeps the head warm and works as a filter. If Afro hair has to be protected from the elements, then why does white hair or Asian hair not need protection? Afro hair is made mostly of protein the same as any other group. The truth is Afro hair is just as strong as any other hair. What it needs protection from is styling methods, improper use of style tools and harsh chemicals in hair products. Those are the things which cause Afro hair to break or any hair to break. Simply covering your hair with fake hair alone does not protect the hair. There are many people who experience breakage when they remove their braid extensions or weaves. Many times the hair will thin out when coming out of a weave. The person received length but now their ends are thin and see through. In order for fake hair to protect your hair you must follow a moisture and strengthening regimen before applying the extensions and while in the extensions.You must also remove the extensions in a healthy way. The Braid, Retain and Grow method is the absolute best method to use before you apply any type of hair extensions or weaves. This method will help you retain the healthiest growth from your protective style. The best way to remove your extensions to avoid breakage. Get the BRG method. Nails are filed and oiled, so no snagging the hair. Protective styling under the Coily Queens Regimen involves: maintaining regular protein treatments, finger combing and keeping the hair hydrated. Protective styling is not applying fake hair, it is styling your hair gently using your God blessed fingers. The CQR does not use combs, any type of hair brush or blow dryers. Using combs and brushes only snap and pop Afro curly hair. Daily styling is achieved using the fingers only. When you follow the Coily Queens Regimen your hair will be soft, free of knots and easy to untangle. This makes it easy to style the hair with your fingers. On this regimen you are free to enjoy your hair daily and not have to cover it with fake hair all of the time. You can rock twist outs, wash and goes, braid outs daily and still retain length. Hair is free flowing and able to grow freely while you enjoy your hair, the same as other groups. How I set my hair at bedtime. I massage my scalp with a natural oil and lubricate my strands. Apply a moisturizer only if needed. Then I two strand twists in medium sections. In the morning I untwist, style with my fingers, shake and go. Easy breezy Coily Queen!!!! You can be one to on the Coily Queens Regimen start today! The ends of your twists are knotting? Yes you need more moisture on your ends or top your twists off with a waxy type pomade. Cantu makes one and bed head makes one. 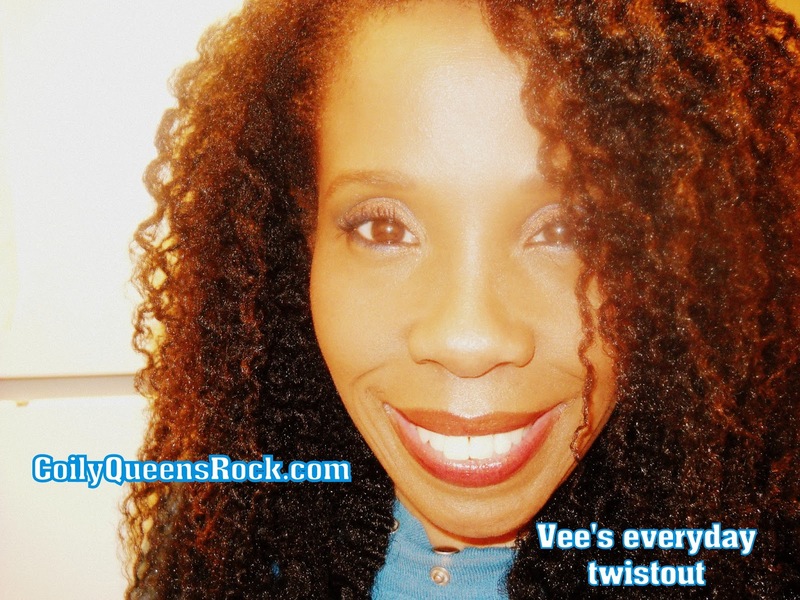 Great Article Vee! I enjoyed reading and understanding afro hair is becoming easy with your lessons. I'm learning! Thank you so much for reading and enjoying!!!! how should one go about wash and goes? and the night routine? Just cover hair with a bonnet, then reappy moisture in the morning if needed. Shake and style. Or you can put your hair up in a high ponytail then cover with a scarf at night. You can also sections hair off in ponytails using silk scrunchies at night. Awesome article!! I'm trying to stay away from braids with fake hair until my vacation in August! Gotta start two strand twisting more and keeping it out of lazy ponytails lol!! I recently start taking the mineral rich liquid vitamin and is having lots of gas issues. Is there any way to work around that. I really want to give it some time to see if it will work for me. Also should I be taking any other vitamins along with the mineral rich. The mineral rich is a B complex vitamin. If you are able I like to take a multi vitamin with it. The other vitamins help it to absorb better, imo.....I do not get gas when I take it. But I would drink a full glass of water behind it when I take a serving and see if that helps. I do always take my supplements with food whether they say so or not on the package.